How to Potty Train a Puppy – A Quickstart Guide on How to House Train a Puppy the Right Way! Ask ten people how to potty train a puppy and you are likely to get ten different answers. It used to be when trying to housebreak a puppy you had to be on guard all the time, following him around, and hoping for the best. There are much more effective, and far less frustrating, methods available now. First rule in potty training your puppy is consistency. Second rule is commitment. Have an area of your house that is puppy proofed. When he is still being trained, it is best to restrict him to this area of the house. When you first start training your puppy, you must choose an acceptable place for him to potty and stick to it. Always take him out of the house through the same door, and take him to the same spot. It is best to feed him on a schedule so that you can better predict when he will need to go. As soon as he is finished eating, take him to his designated spot. Another must have when trying to figure out how to potty train a puppy is a “crate.” At times that you cannot be right with him (when you are working or sleeping), it is best to put him in the crate. This helps him learn to hold it until you can let him go outside. Puppies will generally not potty where they have to lay. Make sure the crate is not too large that he can potty in one end and then lay in the other. One newer method of puppy potty training uses a “clicker.” You use the clicker (sets can be purchased online or at pet stores) to give the puppy positive reinforcement. After the puppy has voided, you click the clicker and then immediately give the puppy a small treat. He learns to associate the sound with his good behavior and a treat. If he has an accident in the house, do not punish him. He will learn if he goes in the house he gets no click/treat, but if he goes outside he does. Be prepared– accidents will happen! When he has an “oops” in the house pick it up with a paper towel, take it out to his designated potty, and leave it there. This will help him realize that is where he is supposed to potty. Clean the site of his accident with vinegar in order to remove his scent. Remember, puppies learn better through positive reinforcement for good behavior rather than punishment for bad behavior. Most important, relax and enjoy your new friend! I really like this eBook on how to potty train a puppy. It offers real world examples like above, a step-by-step guide for success and some more great information. If you are serious about potty training your puppy, then click HERE. A healthy and well behaved Shih Tzu is what every Shih Tzu owner aims. Training, proper care and diet are provided in order to reach that aim. However, not all Shih Tzu owners are successful in keeping their Shih Tzu healthy and free from diseases or health issues. Sometimes, these tiny creatures get what they’re not supposed to have. Flea infestation is one of the most common problems affecting dogs regardless of breed. Fleas wouldn’t be a problem only if they do not harm their host. However, fleas feed on their host’s blood, causing skin irritation, allergic reactions, anemia and sometimes, death. In addition, most of them often carry tapeworms that can cause severe itching and even allergy. Detecting flea infestation in a Shih Tzu is not quite easy. Their double-coated, dense, long and flowing coat makes it difficult for you to detect fleas. But if you will just look for signs, you will soon find out what makes Fluffy scratch like crazy. Scratching is one important sign that must not be taken for granted. If your pet scratches, he may have been bitten or he may also have dry skin, allergy or mange mites. Aside from scratching, he may also bite at his rear end especially around his tail or the inside or outside of his thighs. Since fleas feed on blood, for sure they will excrete blood. Look for small bits of brown dust attached to the fur itself. If the dust dissolves into reddish liquid when dropped into wet paper towel, that for sure wasn’t an ordinary dust but flea dirt. 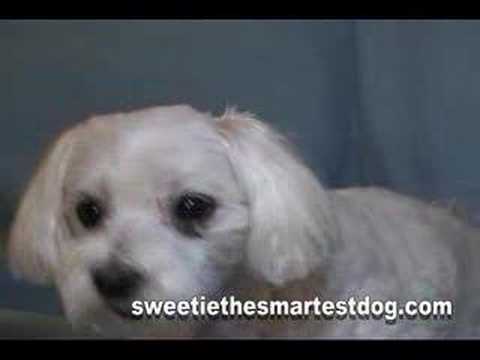 An indication that you must do something to get rid of fleas in your Shih Tzu. There are various ways to remove fleas. Use a flea comb to search for and remove fleas. You can dab some petroleum jelly on the comb to make the fleas stick to its teeth. Give particular attention in the armpits, between your dog’s toes, behind and in the ears, around the tail and head. Some are using chemical and commercial medications as well as electronic flea traps to get rid of fleas easily. But due to safety issues, some owners prefer natural treatment and prevention such as natural ingredient-based flea repellents. Yes, there are ways to get rid of flea infestation but prevention is better than cure right? Inspecting your pet each day and after going outdoors are sure ways to prevent your beloved Shih Tzu from being infested by fleas. Richard Cussons is not just a writer but also a great lover of dogs. Discover more about Shih Tzu training at this site dedicated to Shih Tzu. Do You Know the Symptoms of Dog Poisoning? Symptoms of dog poisoning can be very obvious to extremely subtle depending on the type of poison or toxin consumed. Dogs are extremely curious and hence are subject to lick every object they come across. Dogs even eat feral mushrooms that crop up after the rains. Insect bites and pollution can depart poisonous substances into dogs. Many dogs also absorb harmful materials through their skin. Dogs are inquisitive pets, so they walk around and discover lousy places. Thus, are exposed to harmful plants, fatal insects and remains of dead animals. If you notice your dog experiencing any of these symptoms, then the dog might have consumed certain toxic materials. Hence, you need to take extreme care of your dog at such period. You may take your dog to a vet or may call the poison control center. If your dog has absorbed toxins through skin, then a warm bath with soap will help to stop the absorption. Symptoms of toxic substances will appear gradually. Some symptoms are visible within 2 to 3 days, whereas some signs appear after months or even years. Quick and appropriate care can prevent your dog from severe diseases. Never give chocolates to dog. These can cause certain symptoms such as nausea, vomiting, and frequent urination. Cardiac arrhythmias, extreme responses to noise, muscle twitching, stiffness, excitement, internal bleeding, and weakness are few other symptoms that your dog might exhibit after consuming chocolates. In extreme cases, it can lead to coma and eventually to death within 12 to 36 hours of consumption. In addition, a few plants are not suitable for dogs. They may develop rashes on their skin, if they come across such plants. It is best to discuss with your vet regarding which plants are suitable for your dog. Next, certain chemicals may also trigger a few symptoms of dog poisoning in your dog. This might be onset of any serious illness. However, remember that some poisoning might cause everlasting or fatal injury to your dog. As you can see symptoms of dog poisoning can vary a lot not only by what toxin was consumed, but by how much of it was consumed. If you think you are seeing symptoms of dog poisoning call your veterinarian immediately. Learn more here about Pet Poison Prevention at Free Online Veterinarian Advice. Only you can say if you need dog behavior help. If you feel that your dog’s behavior is simply too much for you to handle, then there is no shame in looking elsewhere for answers to your dog problems. Before you even start looking though, you need to assess your dog’s condition and situation first. Just what is it about your dog that’s been bothering you? How bad is it and have other people or animals been compromised because of this problem behavior? Based on your answers to these questions, you will be better able to determine the kind of help your dog needs and who can deliver it. In most cases of severe behavior problems, it is always a good idea to contact a behavioral expert. Severe problems would include excessive aggression in your dog or tendencies to attack people and other animals. These would almost always need expert dog behavior help because you and others may already be in danger because of your dog’s actions. An expert should be able to solve the issue safely and effectively. If however you have such basic problems as loud barking, chewing and general disobedience, you may not need to call a trainer. These issues may be effectively handled on your own. Of course, if you aren’t at all familiar with dog training techniques, you might need some other form of cheaper help. Instead of calling a trainer, you can follow instructions from a training book yourself. Dog behavior help is always at the tip of your fingertips. When your dog starts giving you problems, never despair. There is always a way to solve problem behavior in dogs. Need dog behavior help? Get free tips, resources and learn how to stop aggressive dog behavior before it ruins your relationship with your beloved pet. Giving your dog a bath can be a fun time for some people, but for others can be a challenge. Now granted if you’re a kid then it is probably fun because you get to spray a hose and spray everyone else and not get in trouble! However, as an adult you know that your dog will be constantly moving and you will probably end up just as wet as your dog which might not be that fun. Now if the day is ninety degrees you will not mind getting wet, but if it is in the fifties with a forty mph breeze then you will mind. Here are my top tips to help you give your dog a bath without getting soaked hopefully. The first tip that I have is make sure you have all of your supplies ready before you even turn on the hose and get your dog. By supplies I mean anything that you might think you will need. Some of the basics that you need to make sure you have is your dog shampoo, conditioner, towels, the hose and most likely your dogs leash unless you are bringing him to the bath spot on it. If the bath is going to be indoors then make sure you have the floor covered with rugs to help catch the water from when your dog shakes off. Another great thing to do is if possible put towels on the walls to keep them dry to. The next tip that I have is if the bath is going to be outdoors find someplace to chain your dog to while washing him. A great thing to have is a stake just for this purpose that you can easily take up after the bath, but will be in the ground deep enough to hold your dog in place. Now this will help keep you somewhat dry by keeping your dog in the same place without you having to spray towards him and hope the water hits him. Now the challenging part is getting him in the shampoo and conditioner. Now typically I always get a little bit wet at this part because my dog likes to shake off some of the water while I am trying to put the soaps on him. The key though is to be quick about doing this and if you have an assistant to help you out they can start putting the soaps on your dog while you take care of the hose. Then the next tip will be rinsing your dog off. Now typically by this point your dog will either be so embarrassed that he will just stand there, or he will be so hyper that you will be chasing him in circles even if he is on a leash. However, if you have an assistant that is present you can use them to help hold the dog in place so it will be easier to rinse off the shampoo and conditioner. Then when you are drying your dog off you will want to hold a towel in front of you while you are walking towards your dog. Now if you hold the towel in front of you then it will catch the water when your dog shakes instead of you catching it all. These five tips should help you give your dog a bath and stay a little bit drier. Now granted you will probably end up wet no matter what, but if it is even slightly chilly then you know that staying even a little bit drier will be better than being soaked. I live in Ohio with my wonderful husband and two beautiful children. I have two English Mastiff puppies, a Lab-Retriever, and a Yorkie Poo. I also have two cats who came to us as strays. I love sewing, crocheting, and managing to take care of my zoo at the house. Since I have so many pets I have a strong interest in animal issues. For more great information and great tips for bathing your dog visit Kims website. Desensitizing your dog is a great way to get him to listen to you better when you are trying to trim his nails. I know that my Lab did not get desensitized before I got him and now cutting his nails he always cries like a little baby or pees. Now if you have that problem with your dog or want to avoid your dog not liking having his nails cut here are some great tips to help you out. The first thing that you should do with a new puppy to get him desensitized to having his feet handled is pet his feet often. Now I do not mean that you have to do this each time you pet your dog, but you should do it at least once a day. The petting of the feet will get him used to having his feet handled at a young age. Remember just like your kids you will want to get your dog used to things that he might not like later in life while he is still young enough to be trained. The next thing that you will want to try to do to help desensitize your dog to nail trimming is massage his pads. Now this is similar to petting the feet of your dog except you will be handling the bottom of the foot. Handling the bottom of the foot will also help you get your dog used to having his feet wiped before coming inside after walking in a muddy area. Massaging the pads will also help get your dog used to having his pads handled which you have to do to help get your dogs fingers spread so you can get one nail instead of all of them at once. The third thing that I did to help get my other dogs desensitized to having their nails trimmed is I would start trimming their nails at a young age. Now I would check with your veterinarian to find out what age would be good for your dog breed. Starting getting the dog nails trimmed early will get them used to the clicking sound the trimmers make. Getting your dogs feet desensitized at a young age will help you out later in life. Not only will desensitizing your dogs feet going to help you trim their nails, but it can help you with wiping the dog’s feet after coming in from the outside mud after a rainstorm. It will also help you wash their feet during a bath. Remember start young and you will have an easier time as your dog gets older. I live in Ohio with my wonderful husband and two beautiful children. I have two English Mastiff puppies, a Lab-Retriever, and a Yorkie Poo. I also have two cats who came to us as strays. I love sewing, crocheting, and managing to take care of my zoo at the house. Since I have so many pets I have a strong interest in animal issues. For more great information and nail trimming tips or clippers visit Kims website. Good digestion is essential to dogs so that any problems regarding the stomach can be lessened or eliminated. Proper digestion means that you have to give your pet a well balanced meal essentially rich in fiber and daily exercises. Normally a dog should move its bowel once in two days. If your pet doesn’t, then it might have some problems regarding its digestion but not necessarily constipation. Dog constipation is most commonly associated with older dogs due to their diet problems and lack of exercise. There are several factors which cause dog constipation such as eating something inedible like toys, trash and swallowed bone pieces which are hard to digest. It may be also due to foreign bodies, tumors and strictures. In time the feces accumulate in the colon making it dry and difficult to move. When constipation happens for several times, accumulated feces dilate the colon. This is termed as mega colon which reduces the colon’s ability to contract and expand making the potty painful. Sometimes you will notice watery discharges from your pet. In the worst case scenario performing an enema to remove the hardened stool or a surgery remove the colon may be the only options left. That is how dog constipation can lead to surgery. Of course you do not want your dog to have that kind of ending. Before any thing worse could happen you have to take note of the following suggestions to hamper or prevent any event that may give rise to surgery. First, make sure that you give your pet a fiber rich diet and lots of water to prevent dehydration. Sometimes a change of diet also causes digestive problems so be careful with regard to the type of dog food that you give. It is better to choose the natural homemade dog food because they contain higher fiber and nutrients as compared to commercial dog food. It is also not advisable to give your pet treats any time of the day. Do not allow it to have access to the food every time it wants because overeating can lead to bloating. Water aids in digestion so try to provide an ample amount of fresh water for your pet. If you want to make sure that your pet gets a lot of fiber try adding oats to its meals. Milk is also a big help in lubricating your pet’s colon. Daily exercise makes your pooch healthy so try to take him or her out for a walk. If you have active dogs simple walking is not enough so try to play games or any activity that involves jumping and running such as playing with a ball or a Frisbee. Senior dogs should not be exempted from exercises because a simple walk around your neighborhood will be sufficient enough. Remember that they are most prone to dog constipation. The previously mentioned preventive measures are suggestions that you need to consider to attain a healthy digestion for your pooch. It guarantees that your pet will not lead to any worst case scenario. Surgery is always the last resort when everything else fails. The road between dog constipation and surgery is wide and you have a lot of control in the middle. Make sure that you do not forsake it. The author of this article Alex De La Cruz is a Dog Trainer who has been successful with several dog training courses for many years. Alex decided to share his knowledge and tips through his website http://www.doggyweb.info. You can sign up for his free newsletter and enjoy a healthy and submissive dog. Canine bladder stones form when bacteria enters the urinary tract or if your dog is suffering from a problem that restricts the flow of urine. Bacterial infection causes inflammation of the bladder, a condition called cystitis. When the body’s defense against infection, urine, loses to the colonization of the invader, bacteria, your dog’s body tries to fight infection. Inflammation occurs, causing the openings in the urinary system to constrict. As stones form due to a problem with the urine, they get caught in the smaller openings. Physical issues include the pressure of the urine stream and if the urethra itself, the tube that leads urine out of the body, is in good condition. Your dog’s body will also develop antibodies, which is the way the body fights infection. The urine itself is made to kill bacteria assuming it has the right PH, a high concentration of urea and the right amount of acid. If the urinary system is not operating properly then two types of canine bladder stones can form. The two types are canine oxalate bladder stones and canine struvite urolith bladder stones. Canine Urinary tract infection or UTI can be undiscovered for a long period of time. If your dog frequently gets urinary tract infection it can lead to bigger problems such as more canine bladder stones and possible kidney (renal) failure. Your veterinarian will diagnose your dog by taking a clinical history and by conducting a physical exam. Urinalysis (testing of the urine) will indicate if canine bladder stones are a problem. It will also help to determine if there are canine oxalate bladder stones or canine struvite bladder stones. If infection is found, it is difficult to determine where in the body the infection is located. The treatment for canine urinary tract infection (UTI) is usually 14 days, but possibly up to 30 days. Antibiotics will be prescribed to kill the bacteria. The problem with long term use of antibiotics is possible side effects. Antibiotics are prescribed at a lower dosage just before bedtime for a period of 6 months if the bacteria is resistant to treatment. Any stones in your dogs system such as canine oxalate bladder stones will either need to be surgically removed or dissolved via a change in diet. You should also consider longer term treatment approaches. For example, homeopathic remedies for canine bladder stones can help your dog’s urinary system regulate itself and maintain the PH needed to fight stones and bacteria. You should also try and increase your dog’s water intake through a switch to canned food (canned dog food has 80% more water) and by making fresh drinking water always available. Diet can also be a way of fighting the formation of struvite stones and possibly reduce the formation of canine oxalate bladder stone. Special diets have reduced levels of magnesium, an element associated with canine oxalate bladder stones and struvite stones. This will require a prescription diet that needs to be recommended by your veterinarian. Jeff Grill is an editor of the Dog-Health-Guide.org and has written on many feline health problems. See this site for more information on Canine Oxalate Bladder Stones treatment options. Tell me, does this describe your dog? He’s very attached to you, but is leery of strangers, He may go as far as growling and snapping at unfamiliar people or dogs who get too close. Friends say he’s a “one-person dog,” but actually he’s a shy or fearful dog. It’s important to work on training shy dog before his behavior escalates to fear aggression in dogs. This type of aggressive dog behavior is characterized at first by growling at people he doesn’t know, and can quickly progress to snapping and biting. Why Is My Dog Shy? Sometimes a dog is shy or fearful of strangers due to a bad experience somewhere along the line. Some cases are due to genetics. But most cases of shyness in dogs are caused by one thing; neglecting to socialize a puppy in his first few months of life. It’s also very important not to stop socializing your dog too soon, as many dogs go through a shy period around six months of age. Are You Teaching Your Dog To Be Shy? Speaking softly and reassuringly to your fearful dog in an attempt to calm him down is a mistake. First, you’re teaching him that if he hides, or growls, or even snaps at someone, he’ll be rewarded with your praise and attention. Second, listen to the sound of your voice when you’re reassuring your dog. To your canine, it sounds like a dog’s whimper. Your dog doesn’t understand your words, but he does understand the sound. He thinks you’re whimpering at him, and it makes him even more anxious about the stranger. Socializing your dog when he’s a puppy is the best way to prevent your canine from becoming a shy dog. He needs to be exposed to a wide variety of people, places, and dogs so that he can learn through experience that there’s nothing to be scared of. If your canine friend is already a shy adult, it’s still possible to socialize your dog. It takes longer, and you’ll need lots of patience, but it can be done. The important thing to remember with training shy dog is not to rush him. If you try to force him into socializing with unfamiliar people or dogs, all you’ll do is reinforce his belief that these things are scary. Plus he may feel that he has no choice but to defend himself, which leads to aggressive dog behavior. Never allow a stranger to come up to your dog and try to pet him. Let your dog make the first move. If he doesn’t want to, that’s fine. If he’s hiding, don’t try to coax him out, as he’ll think you’re praising him for hiding out. Ignore your dog when he acts shy or scared around strange people or dogs. Keep him on his leash, and don’t let him get close enough to start displaying fear aggression in dogs. Let him hang back and check out the situation from a distance. When he’s ready, he’ll get closer on his own to the stranger. This is when you praise him lavishly. You can see how easy it is to give your dog the wrong idea. The fact is that dogs just don’t think like people do. Understanding how your dog thinks is crucial to training shy dog properly. Investing in a good dog training course is essential. You’ll want to find out what other dog owners who have used the course think of it. Look for testimonials of how well the training worked for their dog. You’ll also want to look for a course than includes a free consultation with an experienced dog trainer. This benefit alone may pay for the cost of the course. Believe me, once your start to apply this advice, your problem with your fearful dog will be solved.